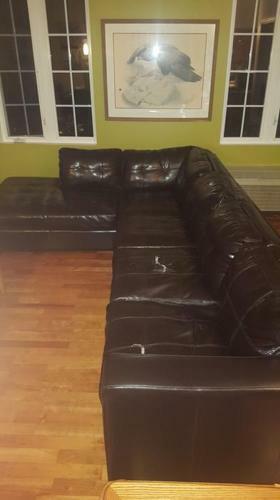 Dark chocolate full size sectional with 2 tears. Still very comfortable and solid. All cushions and back rest are like new. length 115" by depth 85"
Beautiful deep cherry red colour sectional couch. Excellent condition.